Rental office space is now available at this modern complex centre. Provides easy access to all major freeways including the Interstate 95 and Airport. 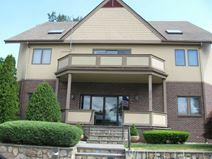 Offers conference and furnished office suites, receptionist. The latest technology and support staff included. Offices to let at Post Road close to the Airport and nearby hotels and eateries. The building is a memorable site built in the late 80’s.